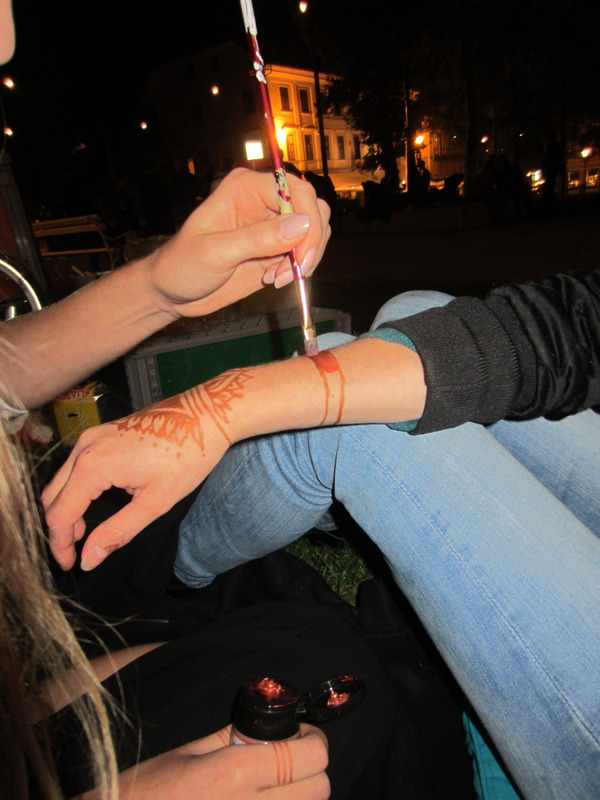 ‘Chillout nights’ is a new and specific method for working with youth. It turned out as a best practice. 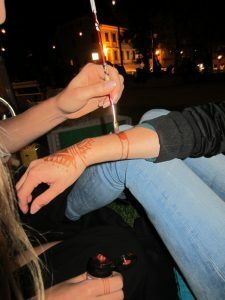 Youth street workers on a program Choose yourself which deals with negative consequences of alcohol use among young people, gather at the main square of capital city of Slovenia every friday night and work with young people who are drinking there before they go to clubs. Chillout zone is a place in nature where we put bean bags, blankets and pillows. Youth workers are present in this chillout place and they talk to young people there in a relaxed way. 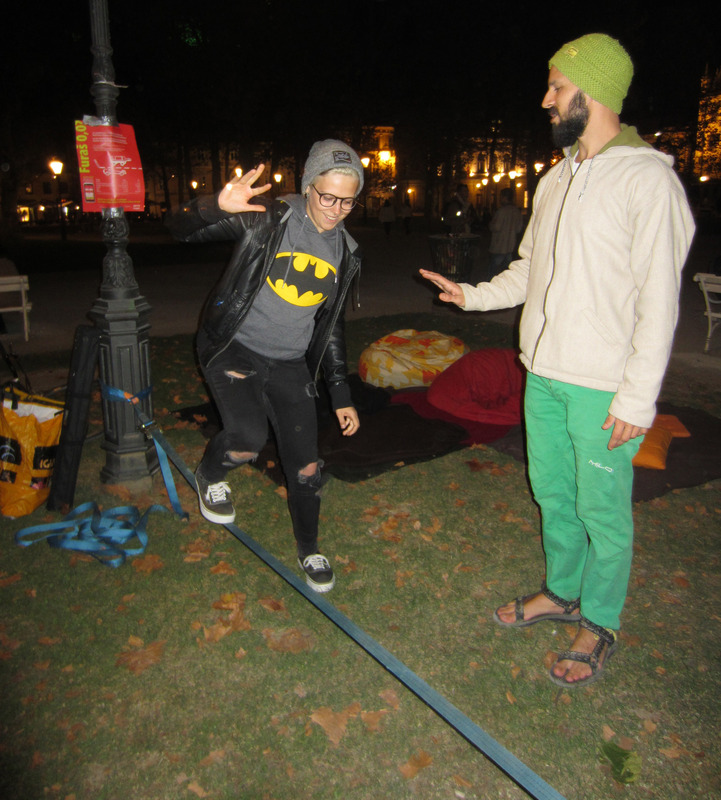 Young people can get free nonalcoholic drinks there and they can also participate in different activities, for an example slackline, acroyoga, archery, challenges with drunk busters googles, bodypainting etc. We organize these acivities in cooperation with different sport and youth organisations. It is also possible that young people who socialize there suggest that they would lead activities there and as a result a group of friends came one night with a guitar and they sang together with young people passing by. In the summer time we have a competition every Friday night in different activities. Five top players get a reward, which is a free ticket for different sports like ice skating and fitness. Public sport institute Sport Ljubljana donates the tickets. So our program Choose yourself goes hand in hand with Sport Ljubljana and in this way it inspires young people to spend more quality time. Activities in chillout zone are different: slackline, acroyoga, making graffiti, archery, circus skills, guitar playing, walleyball, challenges with drunk busters googles etc. These activities are great start point to make contact with young people. Youth workers talk to them about school, university, love problems, fun, life etc. The main focus is on conversations with youth because practice has shown that this is a thing which young people need it the most – someone, who actively listens to them; someone who informs them about risks but remains non-judgemental. Peer to peer approach has revealed itself as a great advantage because young people easier open up to their peers because they see them as equal to them. This way it is easier to spontaneously open topics about alcohol and inform them about how to party in a less risky way including safe driving. Young people openly discuss their experiences regarding alcohol with youth workers and they also accept harm reduction messages from them. And it is a common thing that youth workers have deep conversations with young people that broaden horizons to both of them.